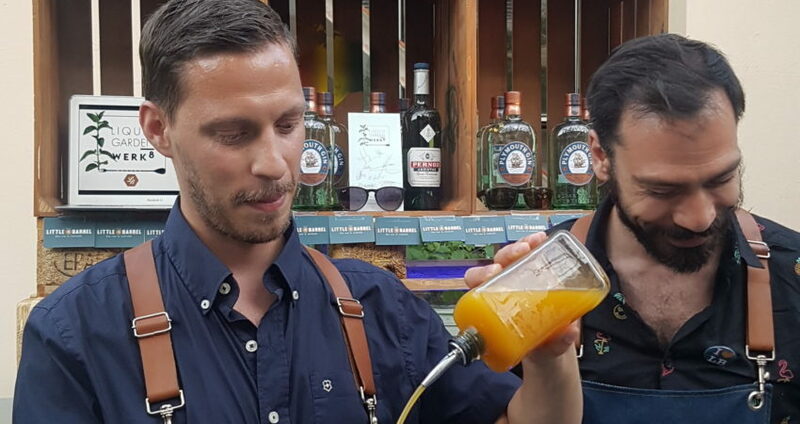 Yesterday, to encourage sustainability in the bartending world, Werk8 in Basel invited 8 bars from across Switzerland (Angel’s Share and Werk8 from Basel; Atelier Classic Bar from Thun; Cinchona bar, Felix and Tales from Zurich, Die Taube from Bern and Little Barrel from Geneva) for a special event on their terrace: Liquid Garden. 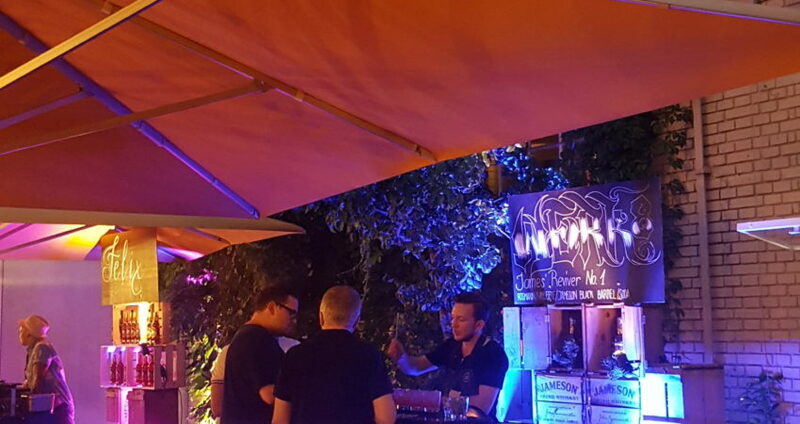 A few weeks ago, each bar drew a plant growing in Werk8’s garden to create a cocktail and a mocktail. The night’s profits will go to Pro Specie Rara, a charity supporting the diversity of Swiss plants and animals. Among the sustainability efforts made yesterday: the use of plants grown from Werk8’s garden, no straws, recycled coasters. 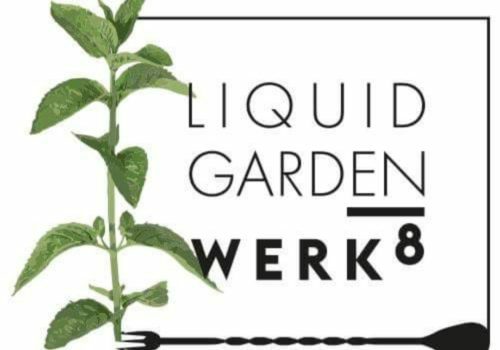 Liquid Garden was also an opportunity for bartenders from different parts of the country to meet in a non competitive environment, something Martin Bornemann, Werk8’s bar manager, had wanted to organise for quite a while. 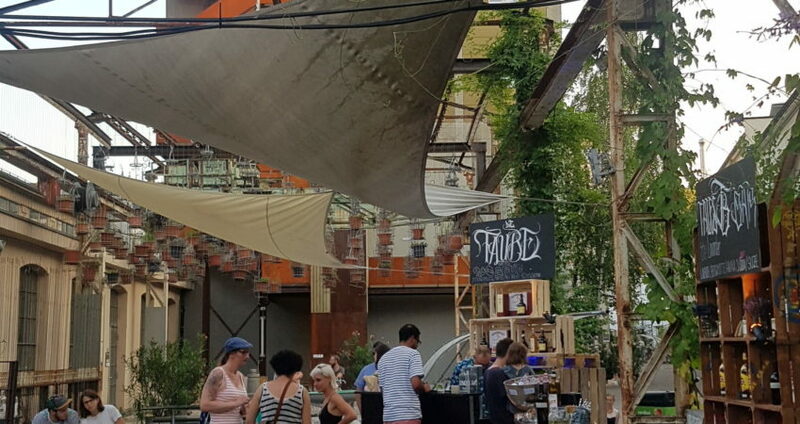 The atmosphere was super chill, with a live band playing music, a few families attending early in the evening and the bartenders visiting each other’s stands to taste one another’s creations. My friend and I sampled 5 of the drinks. We started with Little Barrel’s mocktail, the Roquet Salad, made with parsley and shallots cordial and soda water. Unusual with a presence a bit too strong to my taste of the shallot but interesting and refreshing. 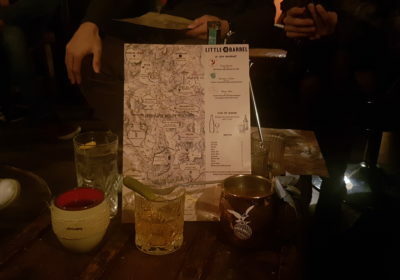 We then shared Die Taube’s R&B Zour, a mix of Irish whiskey, coffee, Benedictine and lemon balm. It was tasty and fresh, perfect for cold brew coffee and Vieux Carré lovers. 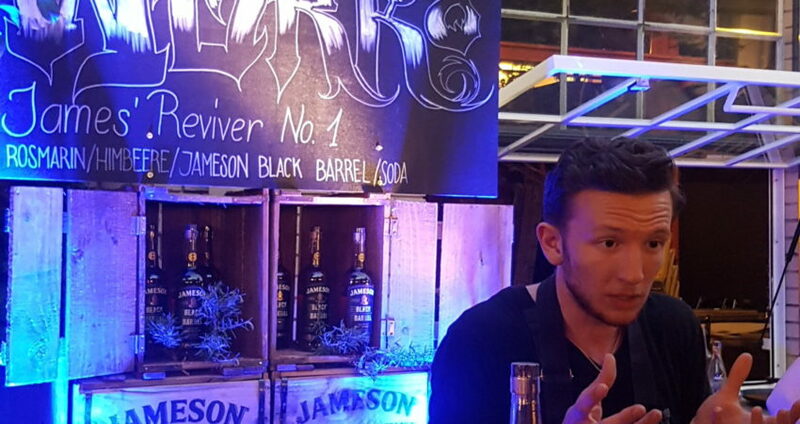 After that, we went to Werk8’s stand for their James’ Reviver n°1. 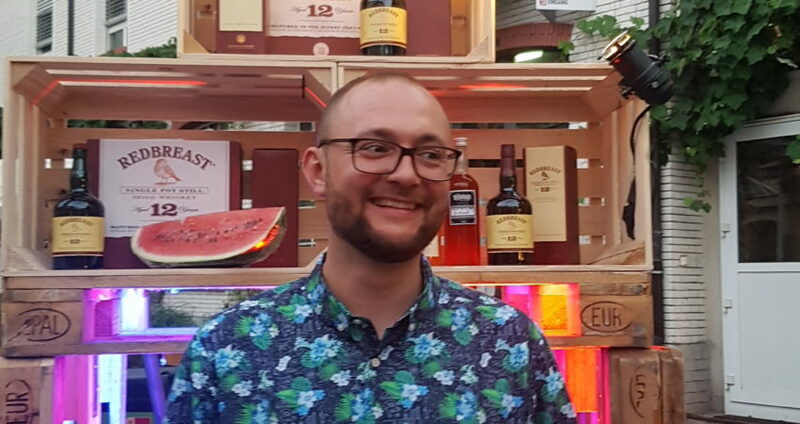 It was a nice, fruity, refreshing combination of Irish whiskey, raspberry and soda with a spray of rosemary bitters. I then had a Lucky Licks from Angel’s Share, while my friend had a Kama from Atelier Classic Bar. The latter was an Old Fashion style drink, mixing chamomile, whisky, Kahlua and rooiboos. 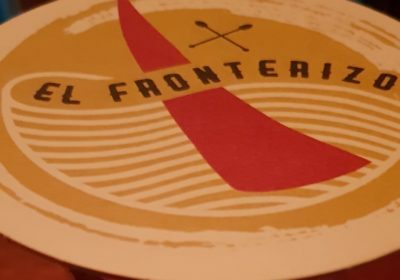 It was delicious, the type of strong drinks I usually go for. 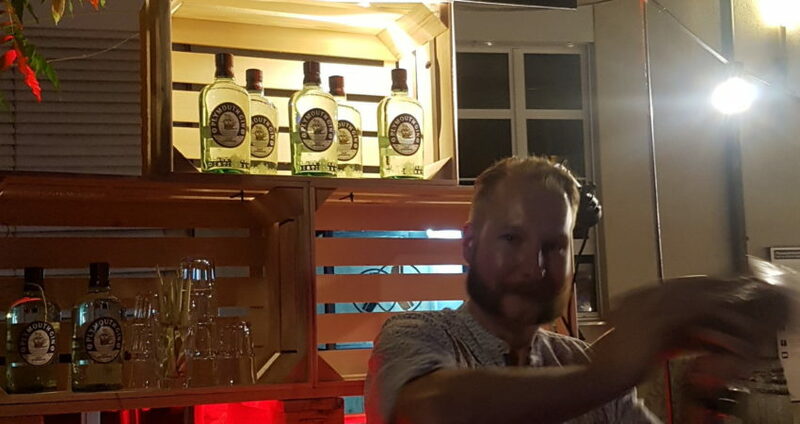 However, in this summer weather, my shout out goes to Angel’s Share twist on the Ramos Gin Fizz, using lemongrass, gin, Ayran (a savoury yoghurt based drink from Turkey) and soda. It was extremely pleasing, light and fresh; so much so that we had seconds. 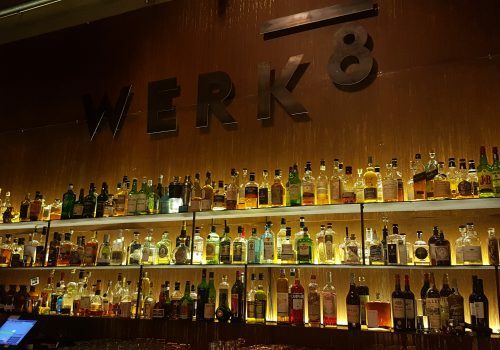 Congratulations to Werk8 for organising this great event, both in terms of support towards the environment and in terms of promoting friendships within the Swiss bartending community. Thanks for inviting me too. It is always a pleasure to return to Basel, where I once lived (right at the corner from Werk8! ), and to your bar. 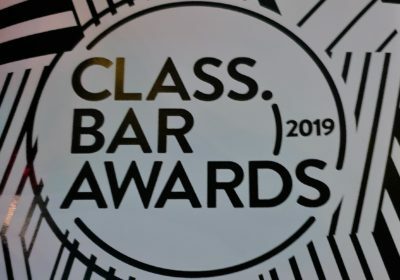 Congratulations to all the participating bars for your creativity. 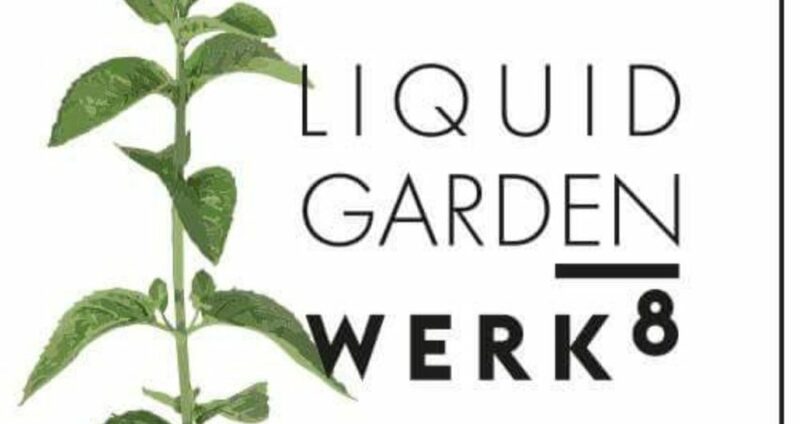 I am already looking for Liquid Garden’s next edition!